Jonathan Cott: So what are the songs on Blood On The Tracks about? 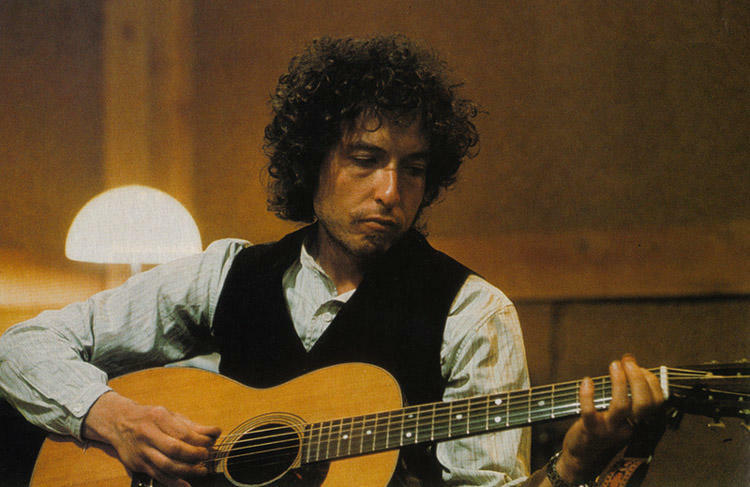 The album, which followed on the resurgence of critical acclaim for Dylan’s work after Planet Waves, was greeted enthusiastically by fans and critics. 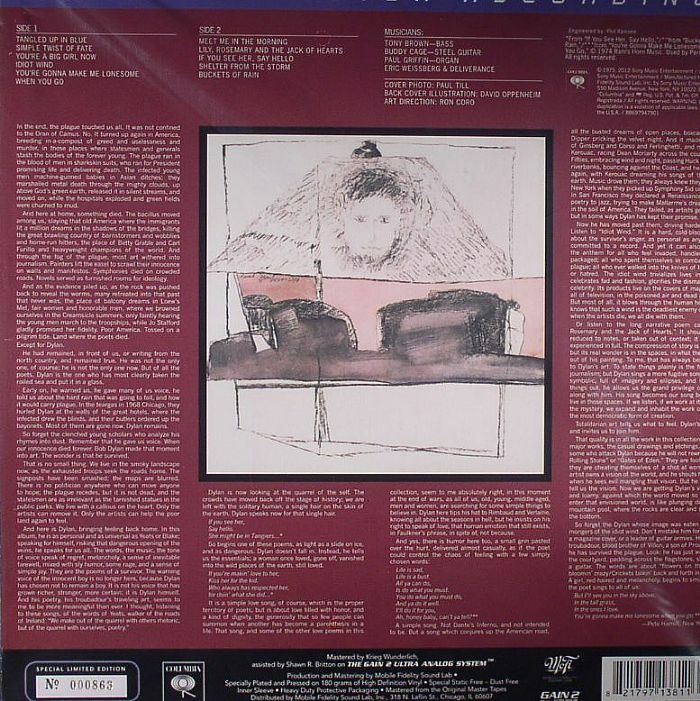 In the years following its release it has come to be regarded as one of his best albums; it is common for subsequent records to be labeled his “best since Blood on the Tracks.” It is also commonly seen as a standard for confessional singer-songwriter albums; though Dylan has denied that the songs are autobiographical, his son Jakob Dylan has stated: “The songs are my parents talking.” In 2003, the album was ranked number 16 on Rolling Stone‘s list of the 500 greatest albums of all time, and in 2004, it was placed at number 5 on Pitchfork Media‘s list of the top 100 albums of the 1970s. The album reached #1 on the Billboard 200 charts and #4 on the UK Albums Chart. The single “Tangled Up in Blue” peaked at #31 on the Billboard Hot 100 singles chart. The album remains one of Dylan’s best-selling studio releases, with a double-platinum US certification by the Recording Industry Association of America (RIAA). 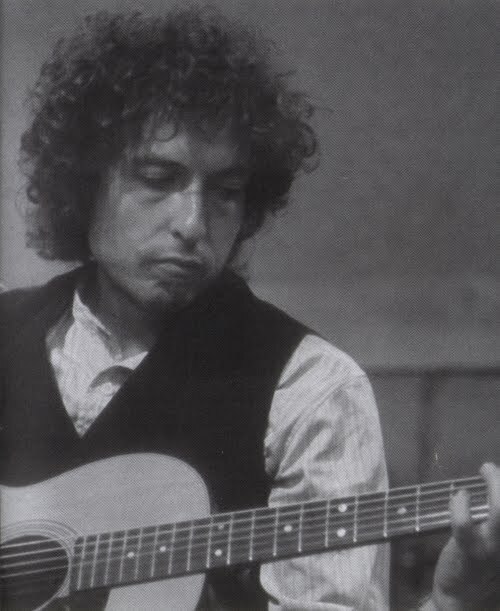 Dylan arrived at Columbia Records’ A&R Recording Studios in New York City on September 16, 1974, where it was soon realized that he was taking a “spontaneous” approach to recording. The session engineer at the time, Phil Ramone, later said that he would “go from one song to another like a medley. The first version of this album struck me as a sellout to the memory of Dylan’s pre-electric period; this remix, utilizing unknown Minneapolis studio musicians who impose nothing beyond a certain anonymous brightness on the proceedings, recapitulates the strengths of that period. Dylan’s new stance is as disconcerting as all the previous ones, but the quickest and deepest surprise is in the music itself. By second hearing its loveliness is almost literally haunting, an aural déjà vu. There are moments of anger that seem callow, and the prevailing theme of interrupted love recalls adolescent woes, but on the whole this is the man’s most mature and assured record. All personnel credits adapted from the album’s liner notes. A Denotes personnel performing at the Minneapolis recording sessions. B Denotes personnel performing at the New York recording sessions. It is 43 years ago, the album was published. And it is still exciting to listen too and it hasn’t lost anything of its qualities since then. “Blood in the tracks” is more than a great album, it is the peak of cultural epoch, like the Pyramids or the music of Mozart. Whatever one will remember about popular culture if the 20th century in let’s say 300 years “Blood on the tracks” will be one of the artefacts human beings (or the cyborg artificial intelligence hybrids that have replaced them) will listen to “Tangled Up in Blue”, “Simple Twist of Fate” and “Shelter from the storm”. The tunes Dylan found to express the emotional pain of these times he used are still unmatched in their simple, but mysterious openness to so many different interpretations. When I am listening to complete concerts I first watch the setlists if one of the three tunes above appear. 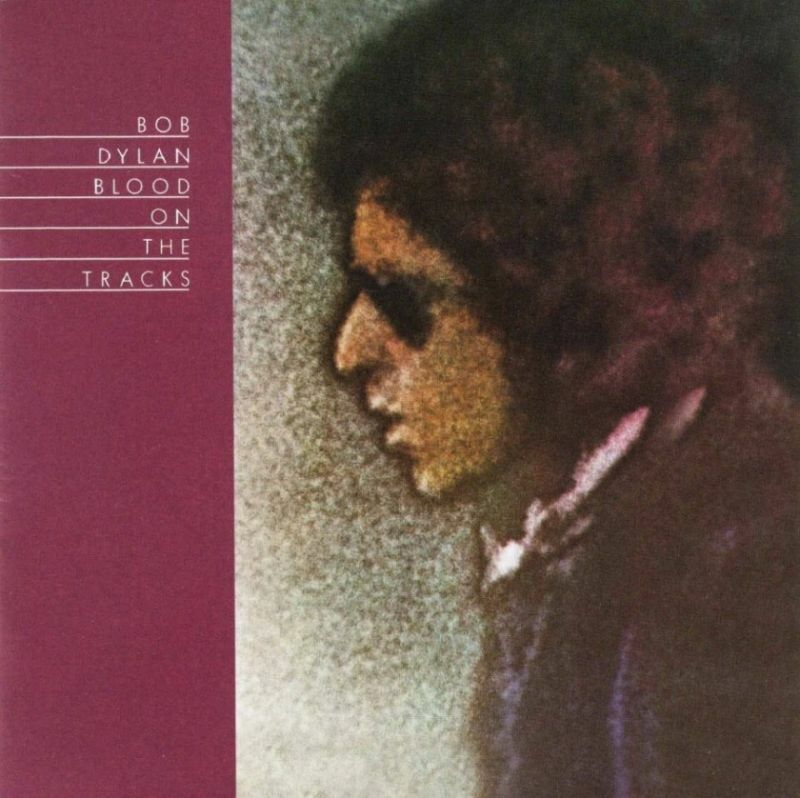 “Blood on the tracks” is Bob Dylans gift to mankind (as his whole work is), but there is no other album where he emphasized more the fragile emotional fabric of the human condition. Everyone can imagine the same emotional despair, but Dylans different interpretations of these tunes gave me solace like on one can do. when i first heard this album it felt as if someone had hog-tied me and dragged me into a new place in my life, a place where pain and beauty and understanding alternately scraped my soul raw. after about a thousand listenings, not much has changed.